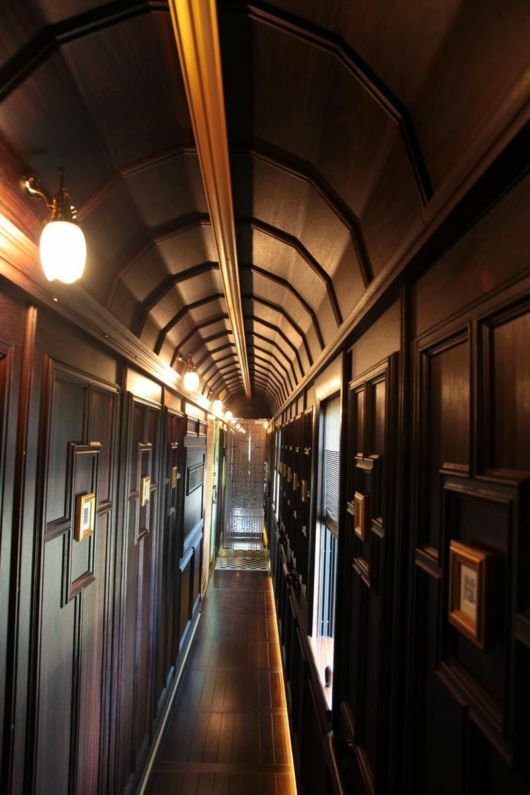 One of the newest luxury trains to debut in Japan is the Seven Stars in Kyushu. 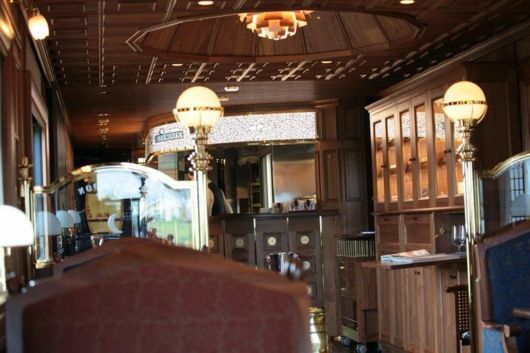 This luxury train, which made its first run in October 2013, gets its name from several different aspects of Kyushu. Although its name actually means "nine states," Kyushu has seven prefectures: Fukuoka, Saga, Nagasaki, Oita, Miyazaki, Kumamoto, and Kagoshima. 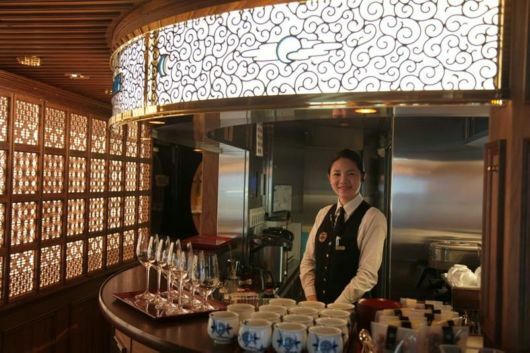 The seven stars are also meant to represent the 7 most important aspects of a visit to Kyushu: hot springs, nature, power spots, history & culture, food, the friendliness of its people, and its train system. 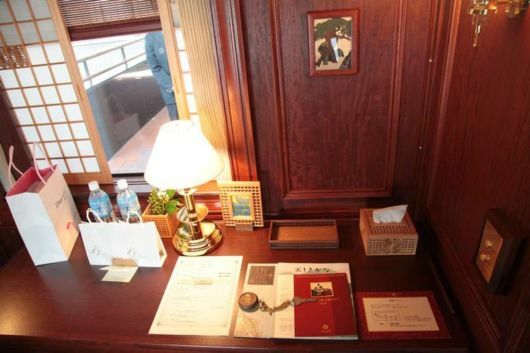 Seven Stars in Kyushu has two different travel options. Its longer, 4 days/3 nights trip makes a large circuit around all of Kyushu, includings its most famous hot springs, volcanoes, and urban areas. 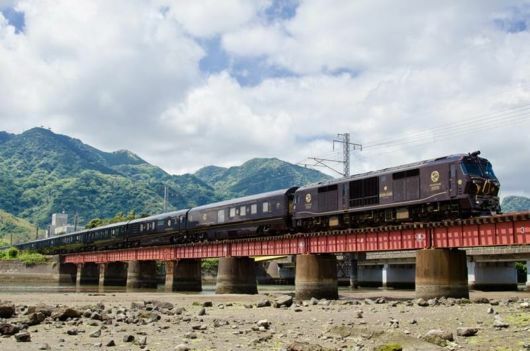 The 2 days/1 night trip focuses on the northern half of Kyushu, starting in Fukuoka and passing by Oita, Nagasaki, and Mt. Aso. Each of these run weekly, in "sessions" of 2 to 4 months. 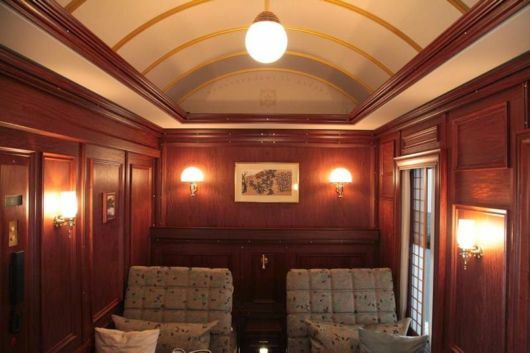 The train is designed to be the height of luxury travel: to hark back to a time of high class travel and also to push train travel ever forwards. 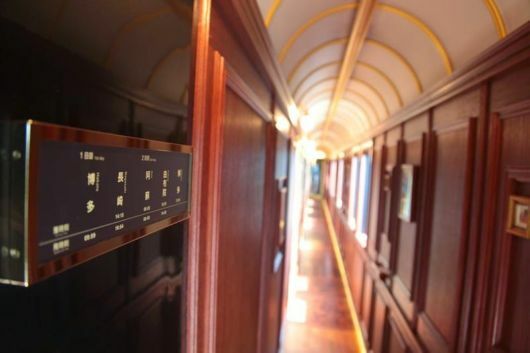 Its suites have a retro feel but offer large windows that offer an expansive view of the countryside. 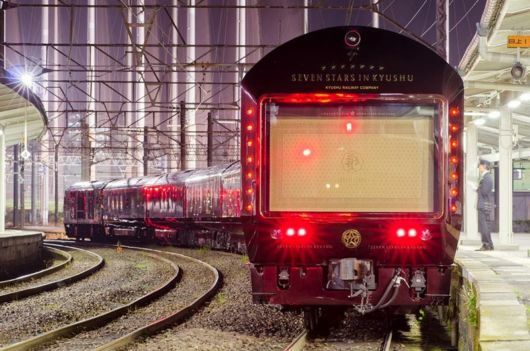 For more details on this special Japanese train, be sure to visit the Seven Stars in Kyushu website. 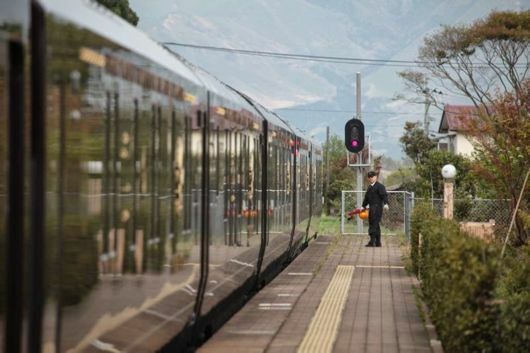 Tickets for this incredible train journey are very limited, but if you miss this opportunity, creating your own circuit around the beautiful island of Kyushu is easy and accessible with the All Kyushu Regional Pass, the North Kyushu Pass, or the Japan Rail Pass. 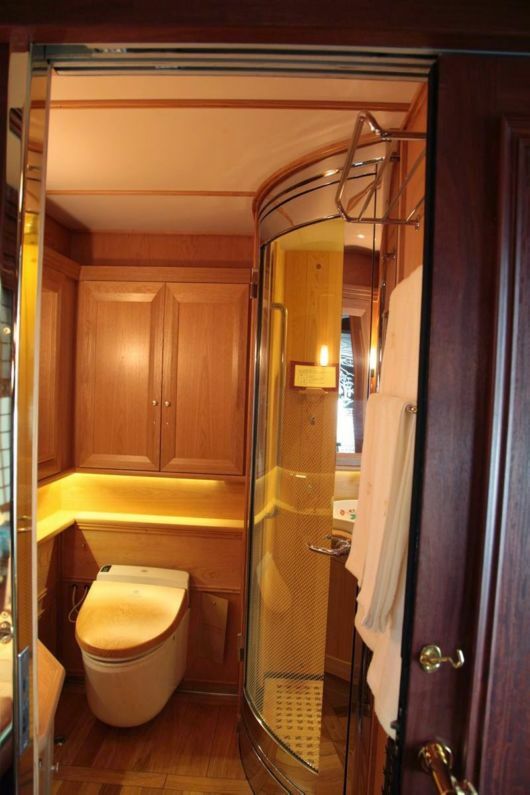 The Seven Stars is decorated with various types of wood and fabric. 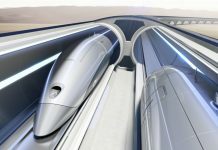 The style is a fusion of Western and Japanese design. 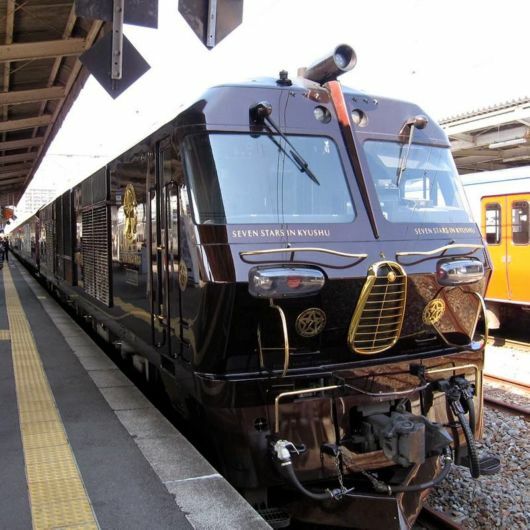 Class DF200 type 7000 + Coach for "SEVEN STARS in KYUSHU" At Kagoshima Sta.